This page introduces using water level detection solution in a water tank using ultrasonic sensor. Ultrasonic sensor (similar to radar and sonar) is using acoustic means for detecting an object’s distance away from the sensor. Just like a bat, the sensor will generate an acoustic pulse. The radiated pulse will hit the targetted object and reflected back to the sensor. The time taken for the pulse to echo back to the sensor provides an estimation of a distance. Knowing that the speed of sound is constant (in an acoustic medium) the detected distance can be relatively consistent. Sensing distance for water tank application typically ranges from 1 to 5 meters. If further detection distance is required, the sensor will need more energy and a bigger acoustic surface to emit and receive the ultrasonic pulse. This means the ultrasonic sensor for water level detection is usually bigger in size. The increase in sensing distance also affects the sensing speed (sensing frequency). 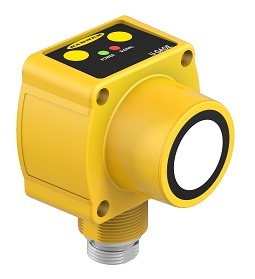 For water level detection, detection speed usually is not an important issue. An ultrasonic sensor is typically designed for a certain detection range for a specific application. This helps to eliminate the possible noise being reflected from the environment. This is especially noise within a confined space like a water tank. The trade-off for a robust ultrasonic sensor will result in a slower detection speed. Dead-zone is the near range region which the ultrasonic sensor cannot detect. It is a blind spot to the sensor. There are many types of output to choose from. A benefit of using ultrasonic sensor is its ability to measure the relatively distance or water level in a water tank. For this reason, most of the time we want an ultrasonic sensor that can provide us with an analogue output or is able to output digital data. An analogue output provides distance information for our water tank level application. Relay (dry contact) or NPN output can only provide simple on/off information. It can only tell you if the water level is reached or not. There are typically two types of power input (either DC or AC voltage) to the sensor. It is recommended to select an ultrasonic sensor using DC voltage supply for a water tank application. If water gets in contact with the DC power will only result in minor water/gas reaction. High voltage 230Vac power touching the water can be a safety hazard. If using DC powered ultrasonic sensor is not a solution, you should earth the water or water tank as a protection. In case the power line touching the water, the electrical system will be tripped and shut down as a means of protection. For normal water tank application, you can just use a normal ultrasonic sensor. If you are using the sensor under a stressful environment, you may like to consider getting a sensor that can withstand water or even chemical resistant. Teflon coating can protect the transducer from most types of chemical. For bio-sensitive labs or production line hygiene, you may even want to use stainless steel ultrasonic sensor (very smooth and polished surface) that can minimise the risk of microbial contamination. The installation location of an ultrasonic sensor can be sensitive. This is especially for installation within a water tank where multiple acoustic reflections can occur. It is best to install away from the wall. The narrow acoustic beam can also help to reduce the unwanted reflection. Easy to mount and deploy. Click here for more information about QT50ULBQ. Click here for more information about BUS M30M1-XC-60/600-S92K. 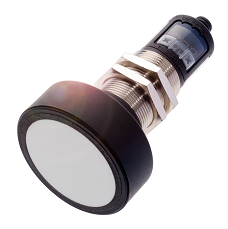 MaxBotix specialised in precision range-finder ultrasonic sensor which can be used for water level detection. Wide selection of ultrasonic products to choose from.